Gartner ITScore provides a set of interactive maturity assessments designed to help CIOs and IT leaders evaluate the maturity of both the IT organization as a provider of IT services and the enterprise as a consumer of information technology. Unlike other IT maturity assessments, a Gartner ITScore measures your organization’s capabilities within the context of an enterprise culture, behaviors and capacity for leadership — factors that dramatically impact IT’s effectiveness and its ability to contribute real business value. How do I use Gartner ITScore? It not only examines IT leadership effectiveness and incorporates business behaviors, perceptions and expectations, but also tests how your capabilities are integrated and their combined power is leveraged for enterprise advantage. It is outcome-oriented. 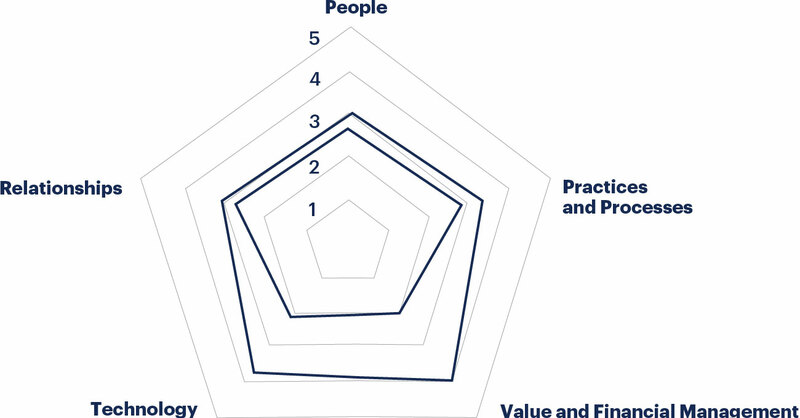 Maturity models usually focus on attributes and have little to say about whether they are good or bad or how they contribute to desired results. Your ITScore focuses not just on attributes but also on contribution and results. It is practical. Real maturity is neither linear nor unidirectional. Achieving a state of near-perfection in key processes or attributes can actually have negative consequences. Your ITScore takes this into account. How does Gartner ITScore work? Gartner ITScore is based on two basic types of components: the Executive View, which encompasses organizational and leadership questions, and IT leader role-level view, which delves into functional disciplines. The Executive View survey aims to capture how well your enterprise leverages IT to improve business outcomes and also evaluates the IT organization from a managerial and leadership perspective. Role/discipline-focused surveys enable you to assess over a dozen individual roles/disciplines within your IT organization, measuring the effectiveness of IT leaders in developing and exploiting core IT organizational capabilities. Complete one or all of the available surveys to gain insight into specific functional areas or more comprehensively to gain an executive-level, broad perspective. The more areas your organization surveys, the more relevant your enterprise-level results and the more applicable the recommendations. Surveys can be taken more than once to help track change. The tool also supports “what-if” scenarios to understand the potential effect of change on maturity. As you build your maturity assessment, you can also select benchmark data to compare your results with peers. Reporting enables you to easily review your results, peer benchmarks and recommendations. Gain insights into your organization’s capabilities that help enable what you need to accomplish and determine where you should focus. Assess maturity levels across IT disciplines, and leverage best practices throughout the organization. Provide an objective basis for cross-functional communication, collaboration and planning.